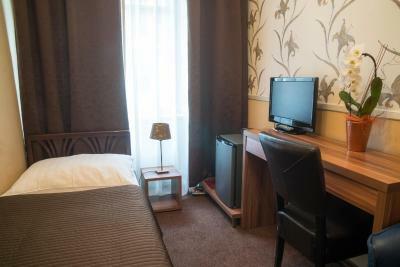 Lock in a great price for Hotel Bajazzo – rated 8.1 by recent guests! 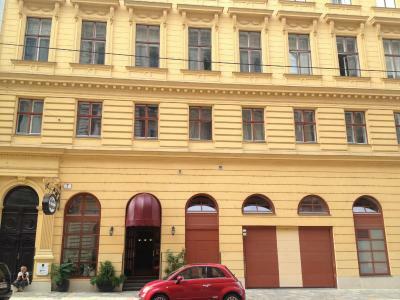 Great location, very near to the metro station. Friendly staffs, beds are really comfortable. The location is very good. 5minutes walking to metro, 10 min walking to the heart of the city. 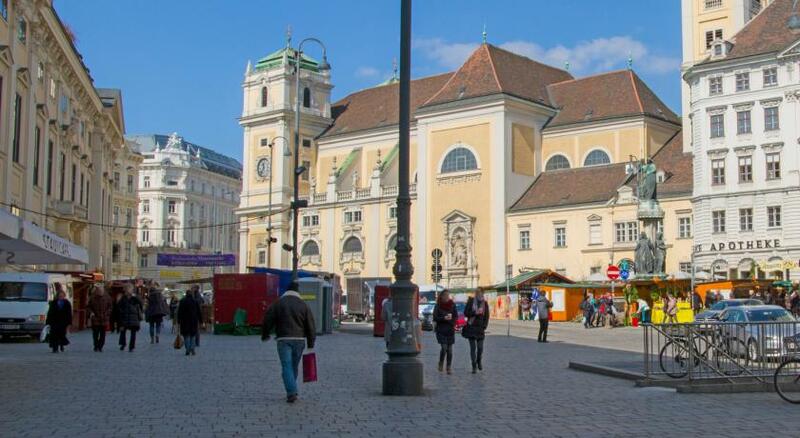 The location of the hotel was very good with nice walking distance to places like Hofburg. The parking available at the hotel is also good because you don't want to experience Vienna in a car. You need to walk through the streets or drive the Horse Taxi which the locals call Ihaha Taxi (PRO TIP: if you call it Ihaha Taxi you can also get a local discount). The bathroom was heated which means that my toilet time was also pleasant. Staff are lovely and extremely helpful and staff are available 24/7. Little supermarket very close by. Subway station close by - 5 mins walk. 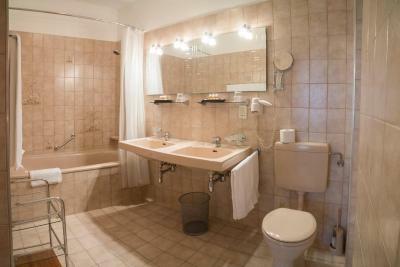 The bathroom was great, it had a real tub, which was nice after being so used to smaller European showers. It's small and quiet, so it's relaxing to come back to after a full day out. Breakfast was good, they had the normal bread and meats and cheese, but there was also yogurt and granola and cereal, so it was a bit more vegetarian friendly. Construction on street. But will be temporary. Conveniently close to the U. Great location, friendly staff, quiet at night, very clean. 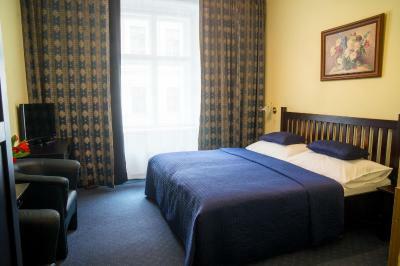 Hotel's location was excelent, walking distance from some main sights of Viena. Hotel Bajazzo This rating is a reflection of how the property compares to the industry standard when it comes to price, facilities and services available. It's based on a self-evaluation by the property. Use this rating to help choose your stay! 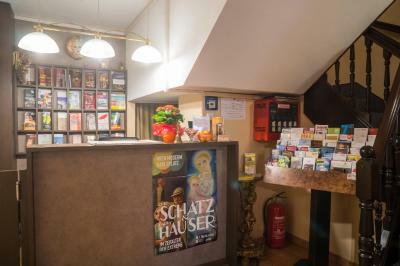 One of our top picks in Vienna.The Bajazzo is a small, privately run hotel located in a quiet street in Vienna's historic center, offering free WiFi access and rooms and suites with cable TV and a mini-bar. 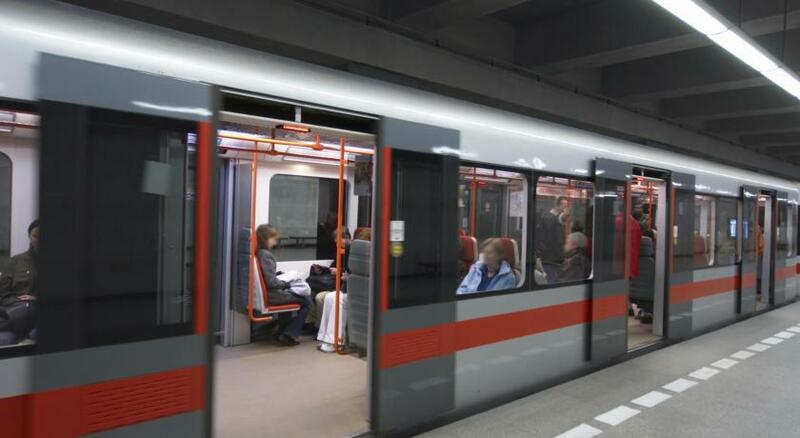 The Schottenring Metro Stop and Tram Stop is just 1,000 feet away and St. Stephens Cathedral is 0.7 mi away. 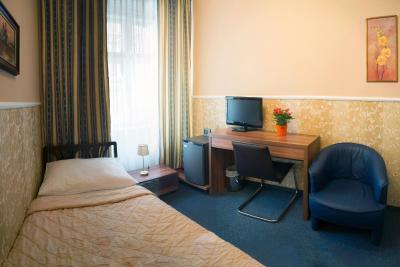 All rooms are tastefully furnished and fully equipped with an array of modern facilities. The hotel has 6 double rooms, 5 single rooms and one junior suite. 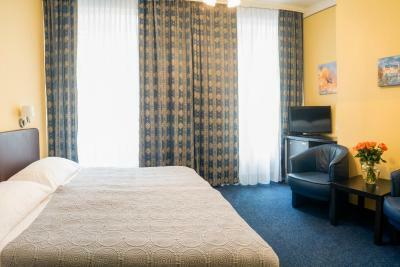 The junior suite features 2 rooms and a large bathroom, and is suitable for a family with a child. The multilingual staff at the reception are available 24 hours and are happy to assist you with any questions and requests. Several restaurants, bars and shops are in the immediate vicinity of Bajazzo Hotel. 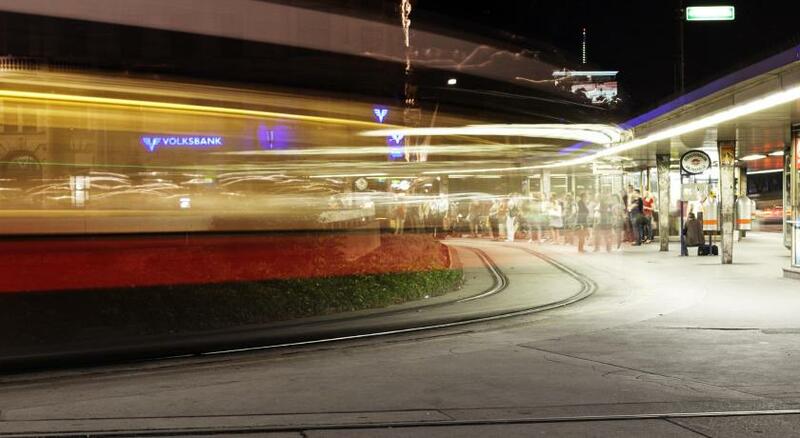 The Schwedenplatz is only 2,950 feet from the hotel. The famous Naschmarkt is located 1.2 mi away. 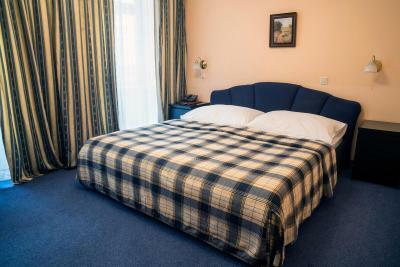 When would you like to stay at Hotel Bajazzo? These rooms include a private bathroom, minibar and cable TV. These rooms come with a private bathroom, mini-bar and cable TV. Please note that 1 of these rooms features 2 single beds pushed together. 2 separate rooms and a pull-out sofa. Hotel surroundings – This neighborhood is a great choice for travelers interested in cafes, culture and museums – Check location Great location - show map Guests loved walking around the neighborhood! House Rules Hotel Bajazzo takes special requests – add in the next step! Debit card Hotel Bajazzo accepts these cards and reserves the right to temporarily hold an amount prior to arrival. Hotel Bajazzo accepts these cards and reserves the right to temporarily hold an amount prior to arrival. Please note that only a limited number of parking spaces is available and reservation before arrival is mandatory. They did not put shampoo and soap for my second day, maybe they forgot it. The stuff were really nice, friendly and helpful. Staff are helpful & friendly. 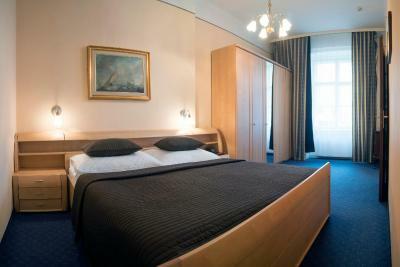 Although the price was fair for Vienna the rooms were a bit drab and dull - however fine for a two night stay. Above all the position - ! Good for one night stay. The reviews are missleading. While it is true that place is old, it is not true that breakfast is good. The place really needs refurbishment. I am not sure how it has so much stars. It is a small place, very old furniture, entrance is terrible, the front desk also and in the back i could see some old furniture, some boards just laying around. Also, the Room is old, but it is clean though and the sheet, banket and pillow are good. But generally it could be better. The mini bar i did not use but it is not expensive. The breakfast however is not good at all. Very narow choice, no indication about what type are the meet products, coffee was not good and so on. While there were no many people eating, still it could be better. Someone said here the breakfast is good for vegans, i would say it is just the cereals are there not for vegans but just because it is cheaper for owner thing to offer. I saw nothing confirming that the owners take care of vegans or vegetarians. There were Like a 3 pieces of grape, 1 tangerine and maybe just maybe a couple od apples or bananas offered with the breakfast. There were Like ten slices of unidentified cheese and a couple of also unidenrified meet products. 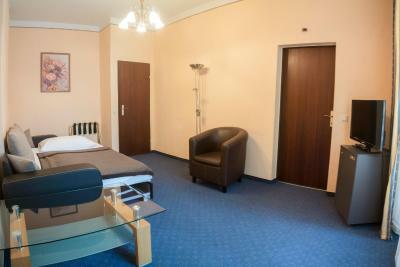 But all in all, the price for excellent location is great but only IF you stay for a night. I would not be able to bare a longer stay there. But what bothered me the most is that despite i believe there were empty rooms there, they did not allow me to check a bit earlier - they did let me leave my staff at the reception though. Also, that they did not give me a fiscal bill when i paid the room, although i asked for it. Even the a4 bill was given only when i asked for it and also i had to remind them to put a stamp on it. The reasoning for not providing fiscal bill was that i paid in cash, which i find just a nonsense but i had no will to argue with the staff. Great location for a reasonable price. Clean sheets. Room as surrounding area weren't cozy, it were rather bleak. 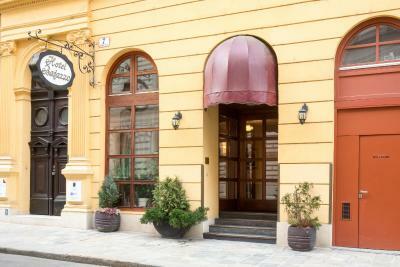 Hotel Bajazzo is in Vienna city center, 10 minutes to the main Cathedral, just one metro stop from Mitte train station. 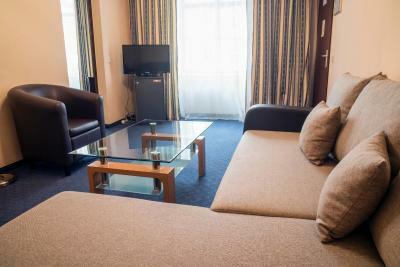 The room was very clean and there are everything you need. A very good price for value. 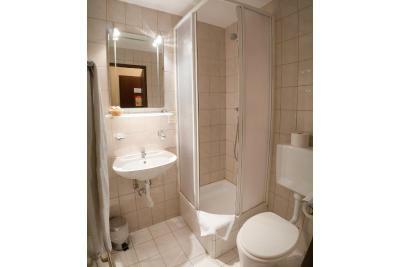 Central location, easy walk to some places and less than a minute to the underground station and tram stop. 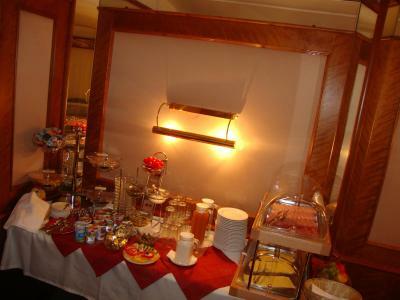 Breakfast was good and hotel staff were friendly and spoke good English. Very good location and very friendly supportive staff. The tent in the bath and that you can't leave for luggage the last day. It's a pity cuz you have to keep for urself the luggage aoround the city. Not good for an hotel next to the city centre. Our room (the 110) was big and good and during the night we heard any noise. Wifi connection fine for our mobile phones. The shower cabin was very small. The location was perfect. Very central and close to an underground station.